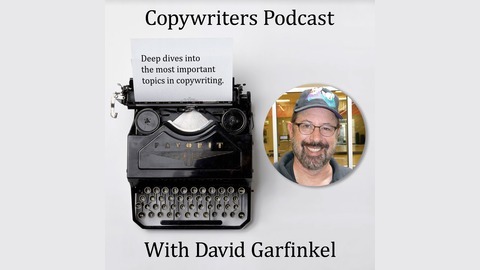 Copywriting lessons from David Garfinkel. 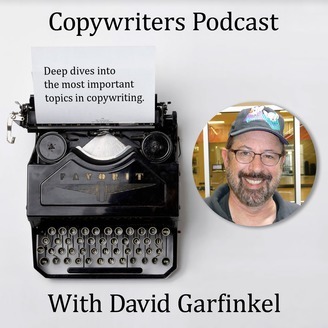 Our show today features superstar public speaker and Internet marketing trainer Tom Antion, who shares some expert info about the red-hot topic of public speaking for copywriters and business owners. - Then, a funny thing happens. You notice that your clients — especially those selling info-products, seminars, and courses — are making even more money than you are. As in, a LOT more. Now, there’s nothing wrong with their making more money than you do. And, if you’ve played your cards right, you’re still getting paid pretty well as a copywriter. Well, if that’s you -- you can. But you need some additional skills. And most of those skills revolve around something many people avoid at all costs: public speaking. But it doesn’t have to be that hard, or that scary. Our guest, Tom Antion, knows how to take in huge paydays speaking from the platform — and claims to have trained more public speakers than anyone else alive. I’ve known Tom for 30 years and my jaw has dropped repeatedly over time at Tom’s energy, industry, willingness to help, and ability to help other people get results. He’s a great speaker. A terrific trainer. And genuinely nice, and generous, guy. Tom very generously shared a lot of tips on the podcast. As someone who has used public speaking myself (not just podcasts, but platform speaking) to substantially grow my own businesses, I strongly recommend this value-packed, and frankly very entertaining as well, podcast interview.